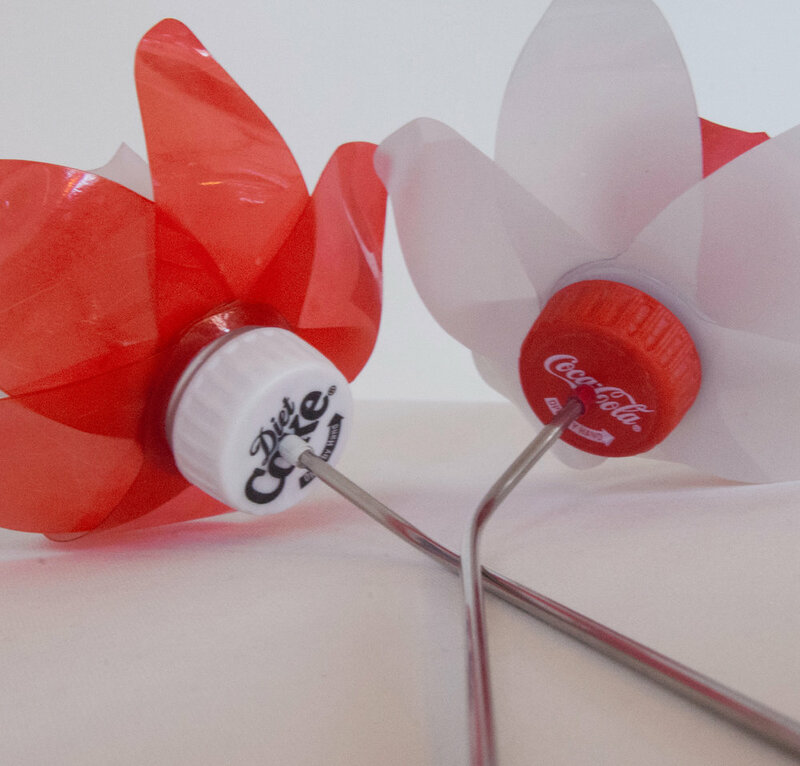 These daffodils were specially made in red and white for the Coca-Cola HQ in Atlanta, Georgia. 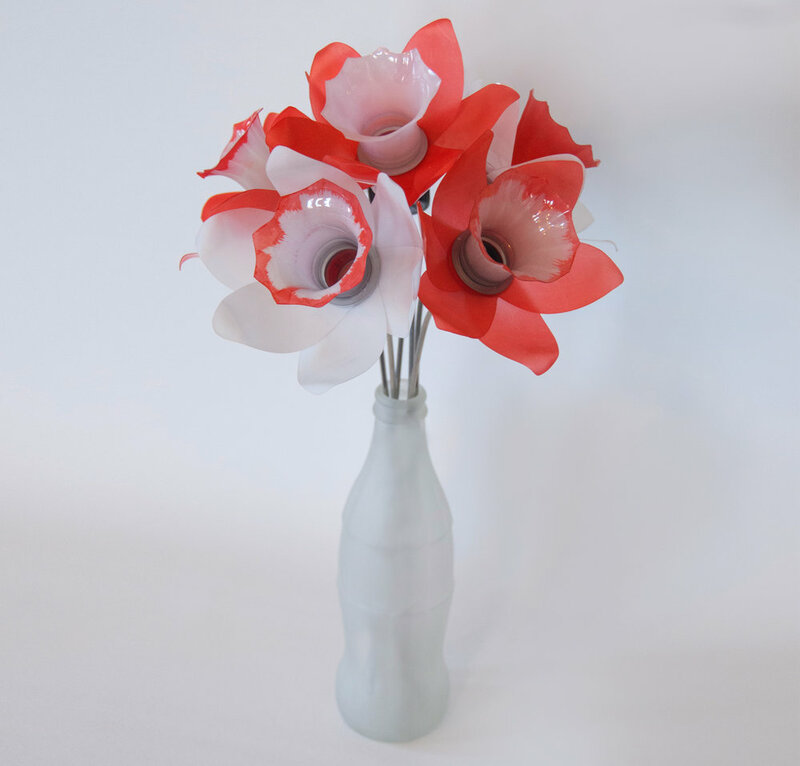 The Plastic Bottle Daffodils can be dyed any colour. So if you are interested in some different coloured daffodils then simply contact us. They are the same price as the usual plastic bottle daffodils, £8 each or 3 for £20.